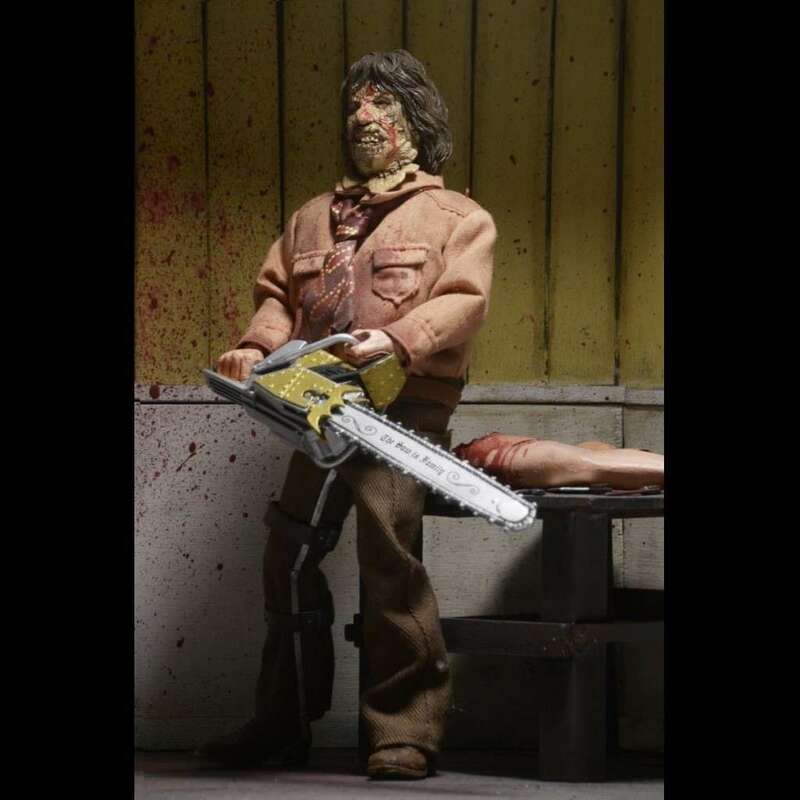 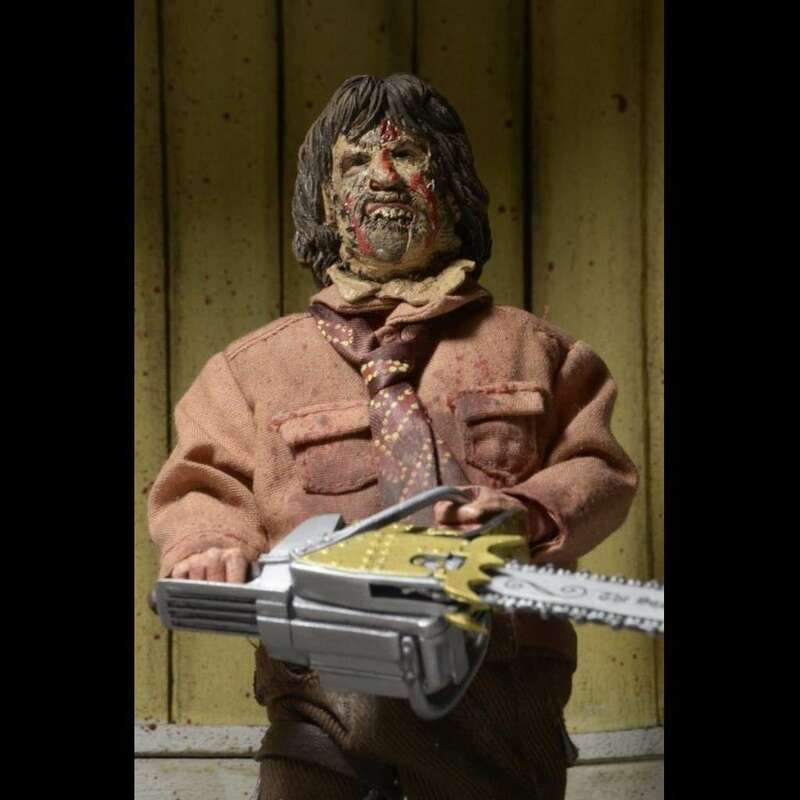 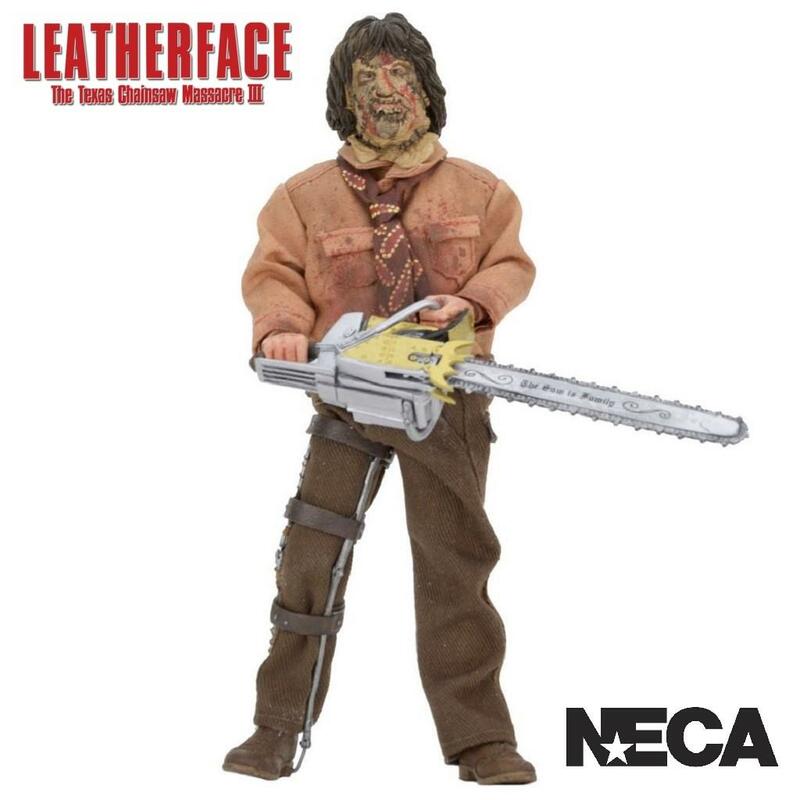 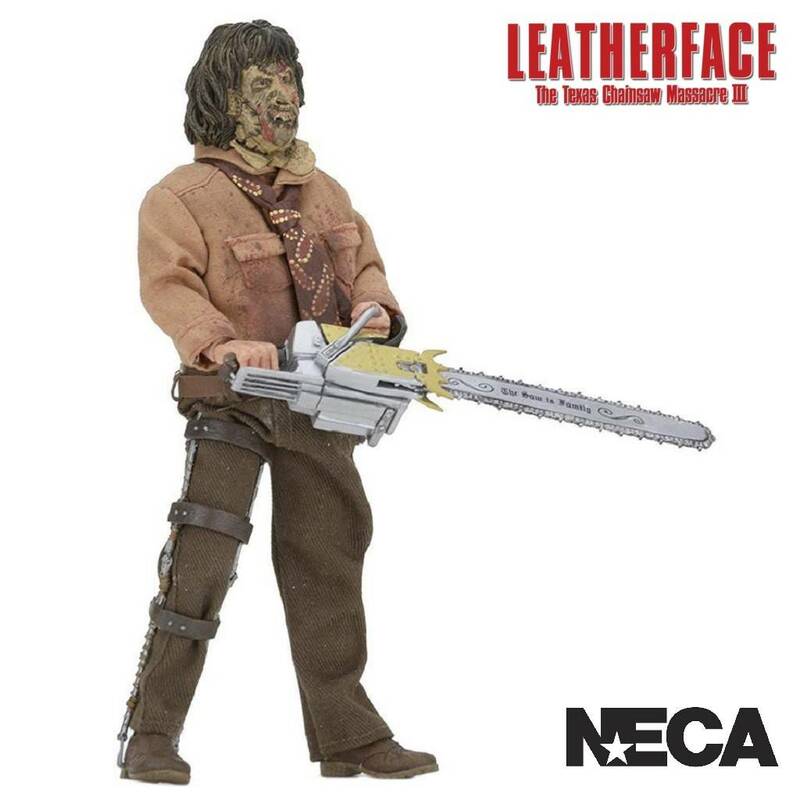 It’s the first appearance of Leatherface from Texas Chainsaw Massacre 3 in NECA's retro clothed action figure line! 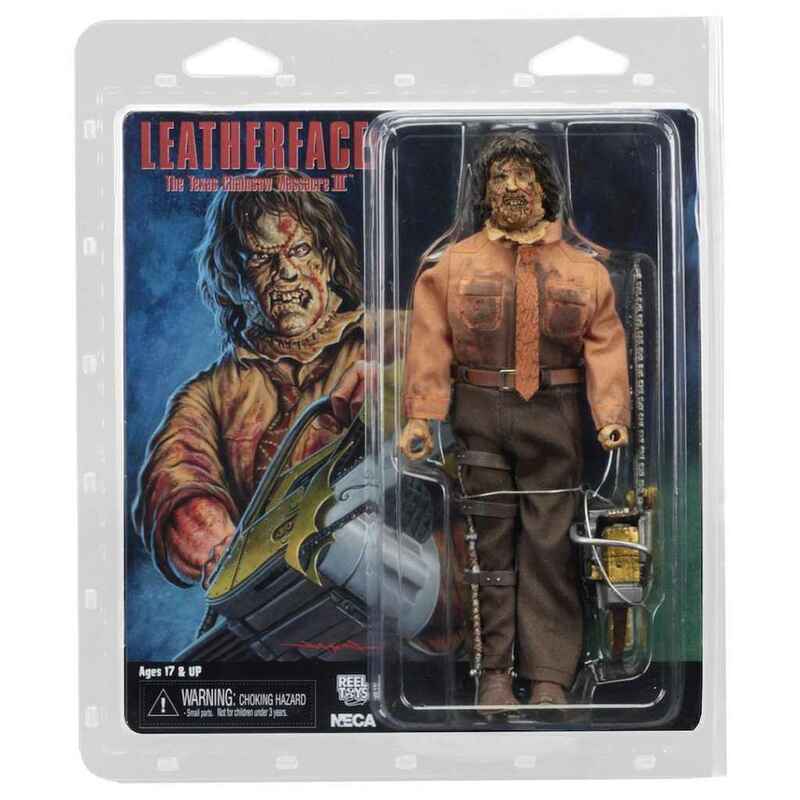 From the 1990 film billed as the “most controversial horror film ever,” Leatherface stands 8” tall and is fully poseable. 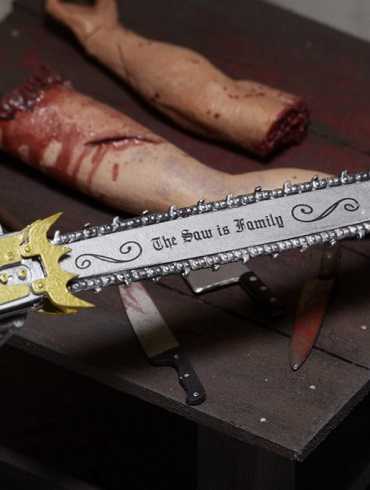 True to the movie, the blade of his chainsaw is inscribed with “The Saw Is Family” and he wears a leg brace.